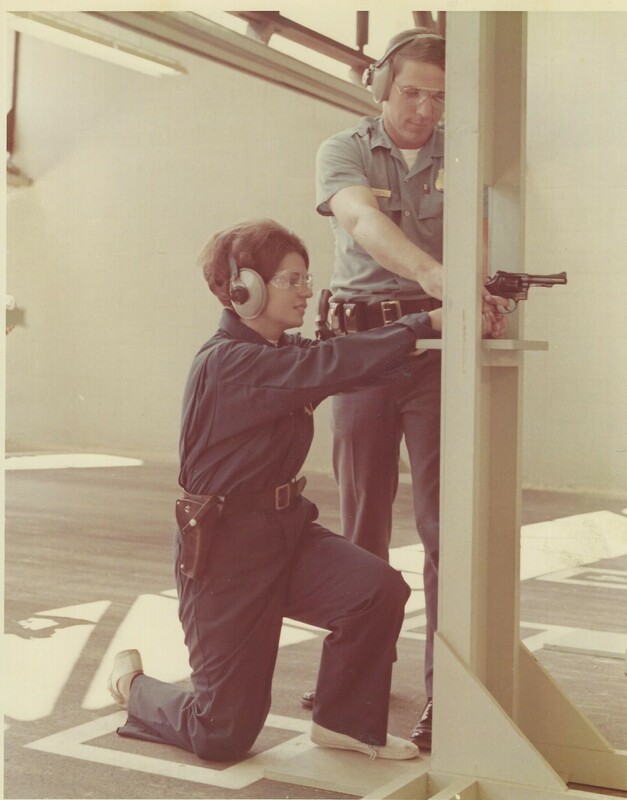 A law prohibiting women in federal law enforcement from carrying firearms was in effect until 1971. It wasn't until then that female federal agents of the new era were allowed to join the ranks. On July 1, 1972, the Bureau of Alcohol, Tobacco, Firearms, and Explosives (ATF) became an independent agency, separate from the Internal Revenue Service and began reporting to the U.S. Department of Treasury. Only a few weeks earlier, ATF experienced another change. 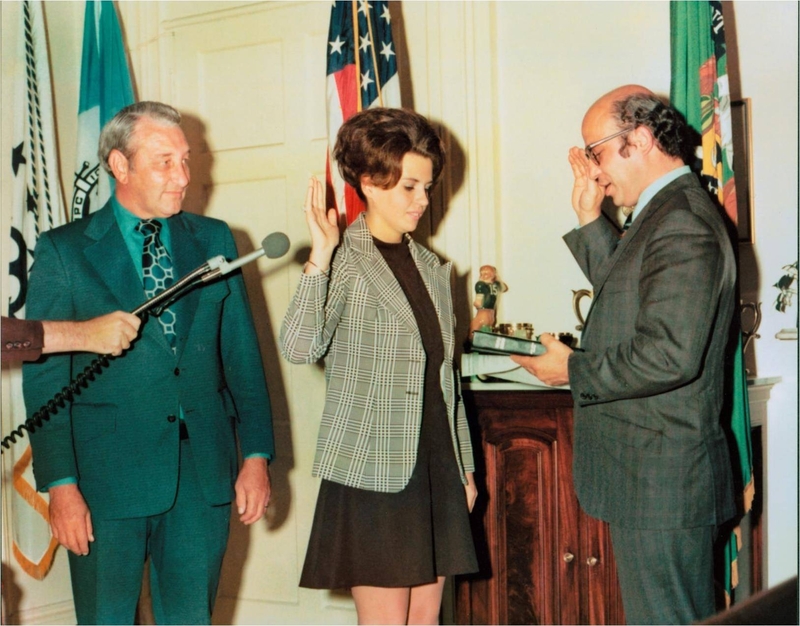 In June 1972, Jo Ann Kocher was sworn in as the first female ATF special agent. Kocher, an only child, was raised in Queens, N.Y. by her widowed mother. She earned a bachelor's of science degree in elementary education from St. John's University and a master's of science degree in speech education from Queen's College to pursue her dreams of teaching. Deciding a career in teaching was not for her, she instead went to work in the airline industry as a station manager at JFK International Airport. It was during this time that she offered to take a business trip from New York to the District of Columbia for an ill colleague. A gentleman in front of Kocher urged her to get in line in front of him resulting in her receiving the last seat on the airplane. This set of circumstances changed Kocher's life. The one remaining seat was next to the then Deputy Assistant Secretary of the Treasury, who engaged her in conversation and recruited her to interview with ATF. After several interviews and completing the normal hiring requirements for new agents, Kocher began her career working for the ATF New York office. At first, she wasn't given an active role in field work as managers were afraid she would get hurt. Finally, another agent invited her go out on an undercover operation and subsequent search warrant in the South Bronx, N.Y. During the undercover meeting, the subject pulled a gun on a New York Police Department officer. The officer's partner shot the assailant to save the officer's life. Kocher assisted during the incident, proving she could handle unfolding intense crime scenes. Following the shooting incident, Kocher was given numerous opportunities to target firearms offenders. She was now included in surveillances, arrests and search warrants, and undercover assignments in New York and throughout the country. She often posed as a girlfriend or wife of an ATF special agent or informant ? a risky undertaking paying off when the investigations resulted in numerous firearms being removed from violent criminals on the streets. In 1980, Kocher received a promotion to ATF Headquarters in Washington, D.C. to work in the liaison branch which coordinated with governmental and external agencies. During her time in New York and in headquarters, she served on an interagency task force that promoted women's contributions to law enforcement. In this role, she worked to develop strategies to recruit more women for the task force agencies, and to retain and support them once they were on board. This task force eventually became the Interagency Committee on Women in Federal Law Enforcement (WIFLE). 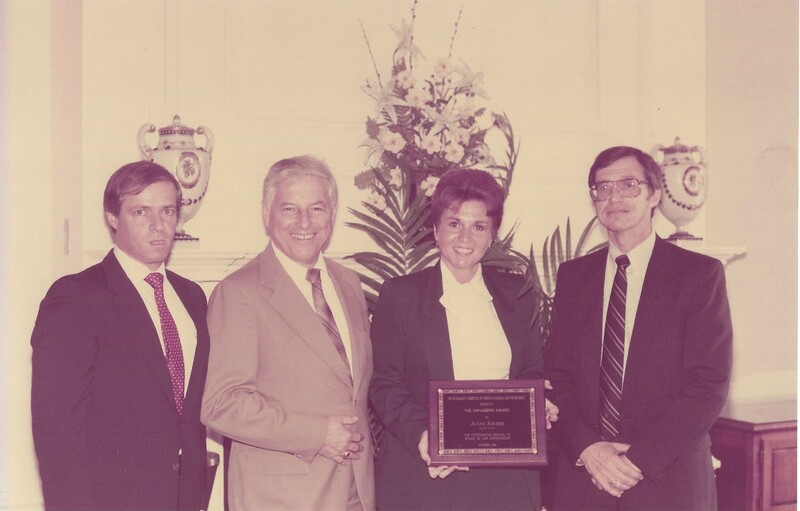 In 1984, WIFLE honored her by bestowing its first Managers Award for her contributions to women in law enforcement. She also served as a liaison to women in ATF, hearing their concerns and speaking to managers on their behalf. Kocher was later transferred to the firearms enforcement branch, where she reviewed cases, prepared briefing papers, and coordinated with the law enforcement divisions assigned to her. Two years later, Kocher was promoted, becoming the first ATF female Resident Agent in Charge (RAC) when she assumed the role as the supervisor for a group covering ATF's law enforcement mission in Hawaii and Guam. During this time, she was active in several organizations, serving as the 1986 Secretary of the Hawaii State Law Enforcement Official Association and as the Chair of the Honolulu?Pacific Federal Executive Board. 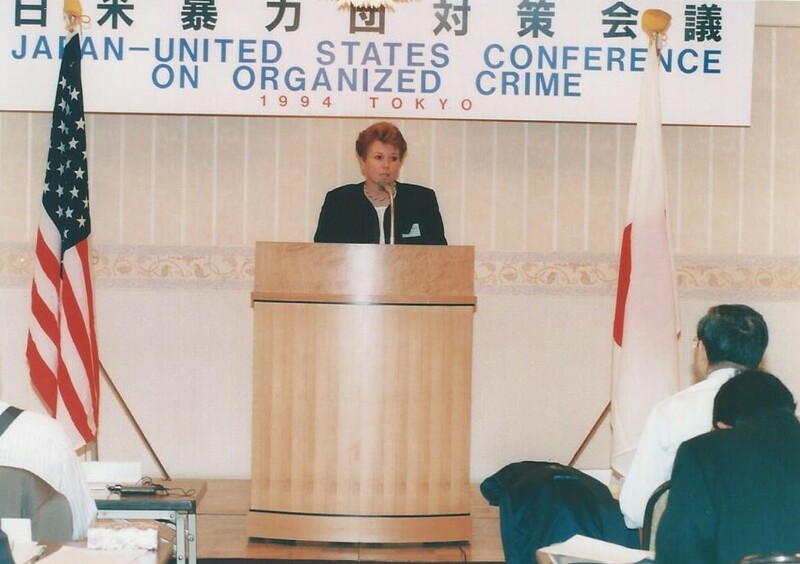 She also frequently gave presentations on ATF's capabilities, including in Japan, where she traveled four times to attend organized crime conferences. In 1996, Kocher left Hawaii to become the Assistant Special Agent in Charge (ASAC) of the San Francisco Field Division. As the number two in charge for the division covering northern California and all of Nevada, she had investigative oversight for all those ATF field offices. She was at the helm during a portion of the nearly two decade-long Unabomber investigation. She served as ASAC until 1999 when she retired and returned to Hawaii where she resides today. Always involved in serving others, she is an active volunteer, has helped teach literacy at a homeless shelter and currently serves as a mediator for the Mediation Center for the Pacific. In addition, she has not been able say goodbye to her thirst for investigations. She still works for ATF, as a contractor, completing occasional background investigations for agency employees and applicants. As a pioneer for women in federal law enforcement, Kocher's advice for women aspiring for a career in federal law enforcement is "take all the opportunities that present themselves." She said she did not let her chance encounter on the airplane slip from her, instead she made the most of it, leading to her ATF career. Kocher tells women, "You don't have to act like a man to prove that you belong. Be a woman and do a good job." This #WomensHistoryMonth, ATF celebrates its first female special agent, Jo Ann Kocher, for paving the way for its future women special agents and for being an inspiration to all women who work in federal law enforcement.